With just four ingredients, you can create a fudge that incorporates the flavors of chocolate and peanut butter. 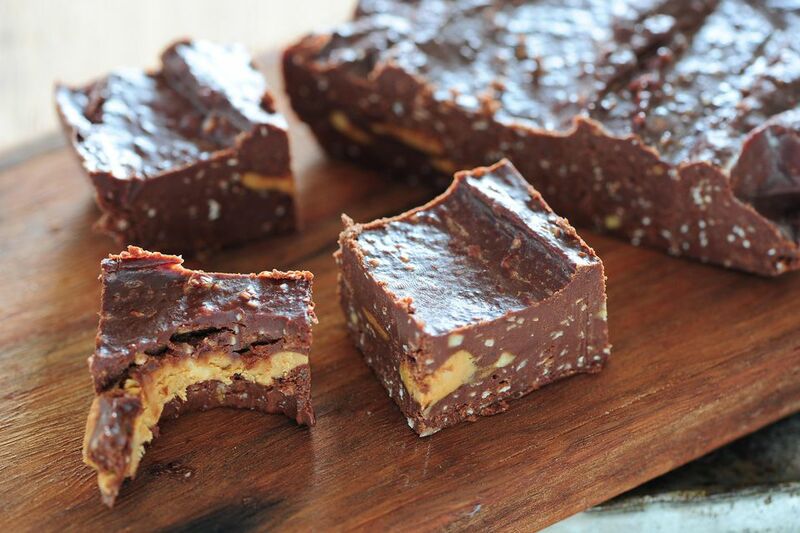 Try this recipe for chocolate peanut butter fudge and see if you agree that it is decadent, rich and delicious. It is likely to become a household favorite, and you may be asked to make another batch sooner than you think! Keep in mind; this is the easy version of the recipe. A more thorough and complicated version does exist. Want to make more fudge? Try preparing a larger batch by doubling the recipe. (Don’t forget that you’ll need a larger pan; a 9- by 13-inch pan should work fine). This is a good idea because the fudge is very popular and may disappear shortly. Doubling it is also helpful if you plan on gifting it, as you can do so while still keeping some for yourself. The recipe involves using a double boiler. If you do not have a formal double boiler, you can create your own. To do that, just use a pan or bowl resting inside of a larger pan with simmering water. The bowl above the pot of water should fit snugly so the steam does not escape and can heat the bowl. Don't let the boiling water touch the pan or bowl on top; you want to gently heat the mixture but not burn it. Line an 8-inch square pan with foil and add a coating of cold butter to it. This will prevent the chocolate peanut butter fudge from sticking to the pan. In a double boiler, melt the chocolate, peanut butter, and butter. Stir all of the ingredients to combine them evenly. Next, stir sugar into the mixture until it melts. This creates the fudge. Pour the completed mixture into the prepared pan. If you want to add a little extra something, try adding 1/2 teaspoon of your favorite vanilla extract (1 teaspoon if doubling the recipe). It may take the total ingredient count up to five, but you won't regret it.